We went to the pantomine at the Theatre Royal in Newcastle last weekend, and as usual it was fantastic with good songs, amazing costumes and some great contraptions - a flying pegasus that pulled Cinderella's coach was a highlight. Then there were the normal slapstick scenes and great local humour, led along by Clive Webb, Danny Adams and the Dame (Chris Hayward), who as last year were a complete hoot. Anyway, having parked in Pilgrim Street, we made the traditional detour via the Fenwick's Christmas display which this year was of the Nativity Story. It was beautiful with amazing puppetry, delightful scenes and some hidden humour, such as the wife with a rolling pin carved into the Roman sculptures of a temple in the background, as well as directions to Caesar's Palace (as in the one in Los Angeles). Two of the scenes included the Magi - one with King Herod and one giving their three gifts to Jesus - and it got me to thinking about these gifts. I apologise for the length of the next quote, which is taken from St Matthew, Chapter 2, verses 1 to 12 from an old St James’s Bible that belonged to my Great Aunt, Elfie Steenberg, and is signed by her and dated “Nov 10 1903”; however, it is the best and almost only way to introduce the concept of "gold, frankincense and myrrh". “Now when Jesus was born in Bethlehem of Judæa in the days of Herod the king, behold, there came wise men from the east to Jerusalem, saying Where is he that is born King of the Jews? For we have seen his star in the east, and are come to worship him. When Herod the king heard these things, he was troubled, and all Jerusalem with him. And when he had gathered all the chief priests and scribes of the people together, he demanded of them where Christ should be born. And when they were come into the house, they saw the young child with Mary his mother, and fell down, and worshipped him: and when they had opened their treasures, they presented unto him gifts: gold, and frankincense, and myrrh. What remains interesting in this familiar Biblical passage? (iv) they gave gifts of “gold, frankincense and myrrh”. The names of the three wise men have become in my mind “Caspar, Melchior and Balthazar” as whenever I went on holiday to Bavaria when I was young you would see chalked above the door frames of the main rooms the date and the initials “C M B”, so for 2010, you would see “20 C M B 10”. When I asked what it meant, I was told that on Twelfth Night (Epiphany), which is the traditional date for the arrival of the wise men and the old date for Christmas Day, the Catholic priest would come and would bless the house with holy water and write the initials above the doors. I read on the web that some people say that it actually means “Christus mansionem benedicat” (Christ bless this house), but that’s not what I was told nor what the people we stayed with believed. It is also the traditional date for adding the three wise men to your crib and for taking down your Christmas decorations. Twelfth Night is also the old date for Christmas Day and the day when the Holy thorn of Glastonbury, faithful to the old Calendar, is said to blossom exactly at midnight. Nowadays, it’s not much of a day, but in older times it was a festival of great importance. In Gloucestershire, 13 fires were lit in the fields in honour of Jesus and his 12 Apostles, with the fire named for Judas stamped out immediately while the others were left to burn right down. In Herefordshire, the wassail-bowl was taken to the cow-byre and the cattle were toasted. Sometimes a cake with a hole in the middle was hung on the horns of an ox; if he tossed it behind him, the mistress of the house had it, if in front, it went to the bailiff or headman of the farm. Whence thou mayst bear apples enow! And my pockets full, too! For more on wassailing, follow this link. Gold still evokes the riches of kings and seems a good thing to offer the Lord Jesus. Even in its rather more debased form of nowadays, gold still holds some allure – it’s the store of wealth that people turn to when times are bad. But gold still looks fabulous and conjures up the wealth of ancient kingdoms. 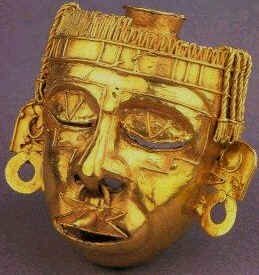 For example, the death mask of Tutankhamun from 1325BC or the fabled gold of the Aztecs pillaged by Cortes such as this Xipe Totep Mask which is pure gold. Gold is said to represent the divine, immortality and purity. All of these seem sensible symbols of something that the Magi might wish to give Jesus. 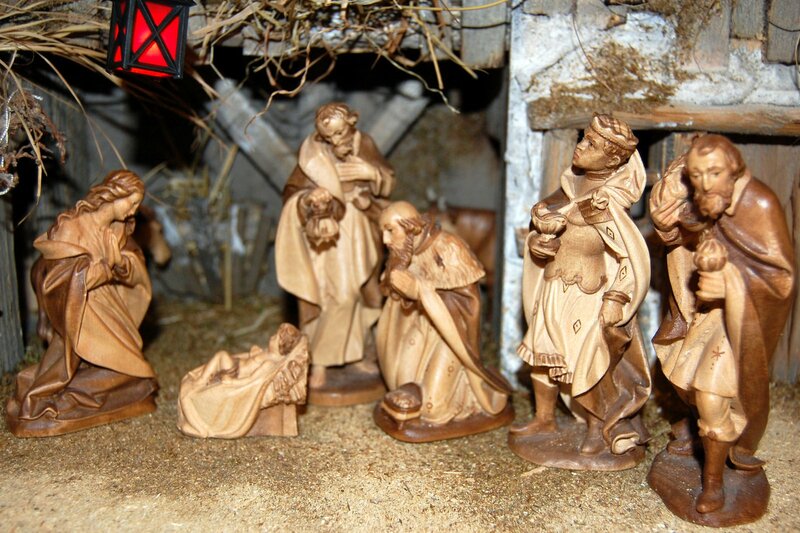 But what of frankincense and myrrh? I shall come to those in separate blogs.